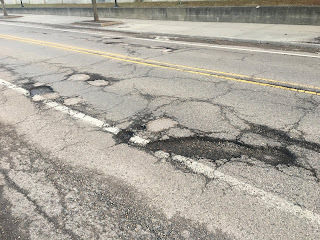 Fix The Roads in Lowell: Do We Cut Services or Raise Funds? I just spent an informative hour with Steve Donkersloot, the General Manager of Lowell Light & Power. (Steve is the tallest person in the picture of LLP people above. ) We got together because I had lots of questions about Green Energy in Lowell, so Steve invited me over. Let me share some of the high lights with you of all the things I learned. First, let me brag a little. The State of Michigan has mandated that all electric utilities acquire 15% of their total energy from renewable sources by 2021. Steve told me this morning that as of right now, LLP is on track to be at 20% or slightly more by 2020. Fantastic, they are on course now to go above and beyond the State requirements by exceeding the target number SOONER. Win - win. 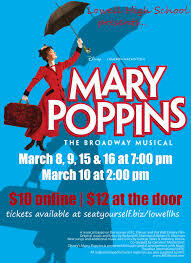 In spite of the glowing reviews and the buzz around Lowell, I was NOT prepared for the fantastic performances that blew me away last night when Mary Poppins hit the stage at the Lowell Performing Arts Center.